There were a few other references in my blog beyond those. I even traded a few emails with the author too! So I guess I am obsessed with this topic. Today’s blog originates because I was reading Manuel Rosa’s book and I was also looking a wikipedia article about early Poles in America. In the wikipedia was one Franciszek Warnadowicz who arrived 1492??? Warna as in Battle of Varna/Warna and owicz as in: of, from, or connected with. So we have Franciszek who is of/from/connected to Warna. Franciszek moved/lived in Cadiz, Spain. According to materials Franciszek or his son Franciszek/Francisco was enrolled as a member of Columbus/Colon’s crew in 1492. Franciszek Warnadowicz has the dubious distinction of being the first European to die in the Americas (at Hispanola). I was reading “Columbus: The Untold Story“, by Manuel Rosa. The book has 17 chapters & an Epilogue spanning 325 pages. It also has an appendix and a Notes Section that is 12 pages of very interesting citations/notes. So this is no fluff book. 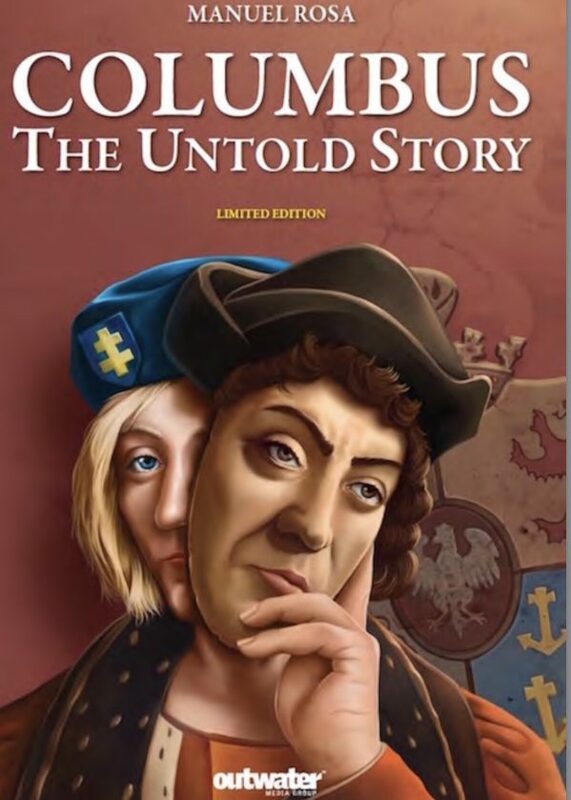 It has stretches that are a bit pedantic but over all the author conveys how he reached his conclusion that Christobal Colon was Polish and was in known as Wladyslaw IV a Polish-Lithuanian Commonwealth noble (Jagiellonian Line). Mr. Rosa is trying to overturn five centuries of misconceptions, with his thesis that Wladyslaw III, survived the Battle of Varna 1444. History built a tomb for Wladyslaw III and named him Wladyslaw Warnensi (or Warneńczyk). So when I saw that Christobal Colon had a Polish crewman named Franciszek WARNAdowicz with him in 1492. I had an Eureka moment. Suprisingly this historical footnote was missing from Manuel Rosa’s anecdotal arguments in the book, as I think this is another circumstantial argument that supports the author’s claim! The book has lavish illustrations and pictures to accompany the author’s text. The narrative while not always exciting, is at least compelling. But as a genealogist, Chapter 17 (Son of The Hermit King) was all I really needed to see. Genealogy is History for this jester. I agree he needed to make the detailed and well researched arguments of the the first 16 Chapters and I understand as a Portuguese native these are the compelling part. I mean honestly how could the Polish family, under its pseudonym (double pseudonyms) have such privilege if Columbus were a commoner? He makes the excellent argument of the names (pseudonyms) and the secrecy required by both Wladyslaw III and his son(s) to remain safe. These were marriages of nobles, educated nobles. Poles, Portuguese, Spaniards. They were all royals! Many Chapters are focused on Spain & Portugal and they too include genealogies and histories. So if you you are Spanish or Portuguese then these first 6 Chapters will be of interest (really the whole book). It is after all Portuguese-centric. The early books were in Spanish, Portuguese, and Polish. So this jester was glad they got around to an English translation. The book is filled with symbols and their decoding. It’s kind of like a real live, Dan Brown tale. There was also an argument about distances and the mathematics and I being an engineer loved that discussion. The double-swapped identity to protect Wladyslaw (III & IV) from the Ottomans or Muslim assassins was a bit beyond Occam’s Razor. I would have loved to see some work on Wladyslaw IV’s brothers and their genealogy. Also, with all of the Genetic Genealogy, why has no Jagiellonian DNA been tested against Christobal Colon? The book seems to rule out Italian ancestry via DNA, but what holds back the Polish confirmation. Still I believe Christobal Colon was Polish and a noble. But belief is not proof. Manuel Rosa, get some Polish DNA to prove Christobal Colon was Polish. The Slavics have distinctive haplotypes. It should be easy to determine if he’s Polish/Lithuanian (as any Jagiellonian would be) and he has done enough to prove nobility from circumstantial evidence. I do so love the era of #Genetic #Genealogy! I am now reading a book on Colon’s last voyage (the Vizcaina), so I hope to get more info about Warnadowicz. In the marriage of Wladysław Fras & Agnieszka née Leszczyńska Michniewska, Stanczyk found an unusual section of text not present in most marriage records. Wladysław was born in Bendin uezd, Piotrkowski gubernia (south-west corner of map). So his ability to marry in the church needed to be verified with a birth/baptism (one alegata purpose). From the marriage, I found an odd and difficult section of text to decipher (as if all old Russian/Cyrillic cursive handwriting were not enigmatic enough). They could not locate Wlad’s birth metrical record in Uiejsce, Wojkowice Koscielne parish, Piotrkowski Gubernia. Wlad had an urgent requirement to serve in the army. Wlad’s mom & four witnesses had to attest to his birth on February 10th (after marriage performed January 26th, and before it was recorded February 12th). So it appears the attestation was good and the marriage was good. Sadly, I never found Wlad’s birth record and my hope was to get it as an alegata at this marriage (I had his siblings’ birth, just not Wlad’s). Dad was dead. Mom attested. Now I wonder who the four witnesses were? Let’s see: Witness1, Witness2, the performing clergy, and ??? Perhaps the godfather was the fourth or the church organist [so many organists in my church records]. Alas, no record of the four witnesses or attestation. I have Wlad’s birth year (derived from age at marriage and fits between two siblings’s births) and that will have to do. An interesting marriage record! So I ask you, “Do you have any military grooms that needed a quick marriage before shipping out to the Russian (|Prussian|Austrian) army?” If so, please post a comment or email this jester. The last time we saw the record, Akt#5 in Solec 1890 Marriages bewteen Wladyslaw Fras & Agnieszka Leszczynska. This is minus one unusual section that is hard to translate/understand. The image is in my last blog post below 👇🏻. Now given the above: Groom born elsewhere, Bride born elsewhere, Bride widowed, I would expect … about 4 pages of alegata to include Wladyslaw’s birth record, Agnieszka’s birth record, Agnieszka’s 1st husband’s death record and the image at the top of this blog post. But the reality is that I only received the image at the top. Does anyone know why? Email or comment on the blog please. Agnieszka’s husband died in this parish and the death was last year (1889). I did confirm that the death record did exist in the parish (Solec) books for 1889 Deaths. Ok, the priest did not feel the need to include an alegata for the death. Agnieszka born in Biechow and now living in Zwierzyniec made her a known entity in the parish, even though she was born in Biechow and she married 1st husband (Jozef Michniewski) in Biechow. So the priest did not feel the need for her birth alegata either; Especially since she and her 1st husband had two kids and they were baptised and living in Solec. But what about Wladyslaw? He was not just born in another parish. His parish was in another gubernia too! Why no birth alegata for him? Tomorrow, my guess about the puzzling text that was unusual in most marriage records. Also another question too! Christmas came early for Stanczyk this year. The metryki at Genbaza & Genealodzy were updated. This jester was able to find the second marriage of my great-grandfather’s daughter (not my grandmother, her half-sister, Agnieszka Leszczynska Michniewska Fras)! At Genbaza they added Solec Zdroj (1875-1913). At Genealodzy they added Stopnica (1875-1917) to the Busko powiat. Now Stopnica was already at Genbaza, but Genealodzy added the years 1910-1917 on top of what Genbaza already had. So I’ll be busy searching through the end of 2018! Next time, a question about the Alegata for the above marriage record. Prince Harry & Duchess of Sussex Meghan will have children who are 19th cousins to Władysław Jagiełło King of Poland & Grand Duchy Of Lithuania (& Queen Jadwiga)! Stanczyk loves alegata. Let’s see you have Birth (urodzony/chrzest), Marriage (małżeństwo/słuby, zapiowiedzi), Alegata, Death (Zgony/Śmierci). The cycle of life via church records (sacrements). Reading alegata are very interesting indeed. Sometimes its like gossip… “Do you know who is getting married here?” Other times its solemn, like the death of a soldier. But it is a time machine of sorts, that allows you to see backward and on rare occasions forward. It is this time machine capability that may help you locate missing records. It is not only an interesting relic of phraseology from ecclesiastical language, it provides great potential genealogical documents of significance. This word, seemingly forgotten and archaic, is currently undergoing a rebirth, precisely because of genealogy. Many beginning researchers do not know about the existence and meaning of these documents. Alegata is the plural of Alegat. Sometimes they are found at the end of church books as loose pages. When they are found in their own books, they are called Alegata or Aneksy. 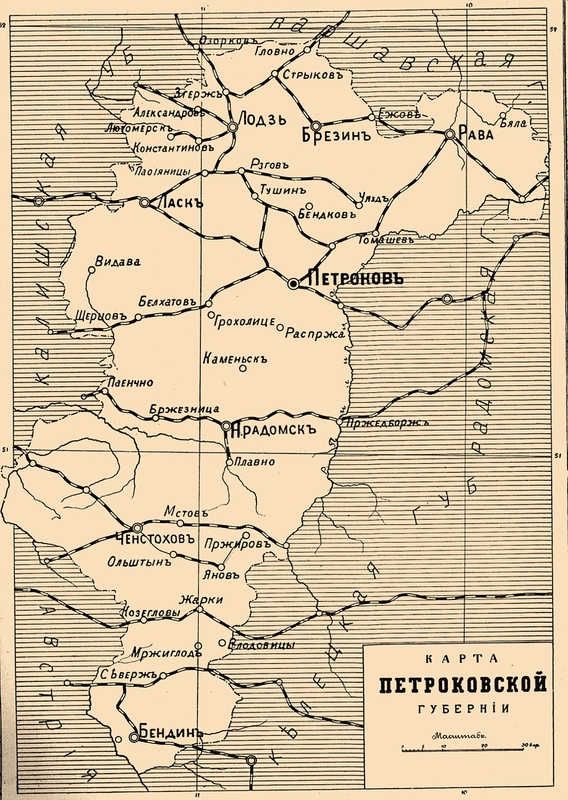 They are most common in the former Russian-Poland partition. As is shown in the picture (by red arrows) they date to just after the Napoleonic Era. What were Alegata Used For? These are Polish Church documents to establish an eligibility for a church sacrament. Most often they are used for marriages. Their purpose is often to document a death and thus making the widow/widower eligible to remarry in the church. Sometimes its used where the groom (most often) if from a remote/foreign parish is a baptised Catholic. I have seen a few other purposes: name change, soldier’s death, etc. Often the inquiries in later years are from courts or remote Polish parishes and are forms. However, for the genealogist, they can fill in the gap for a missing church record. Often because of the marriage aspect, they can help you (the genealogist) track movements of your ancestors across parishes. In the coming articles, we’ll look at a few examples. A ponderously long search for an ancestral parish is over! Stanczyk was humbled. This jester could always find someone’s ancestral parish in the Russian-Poland partition (zabory). 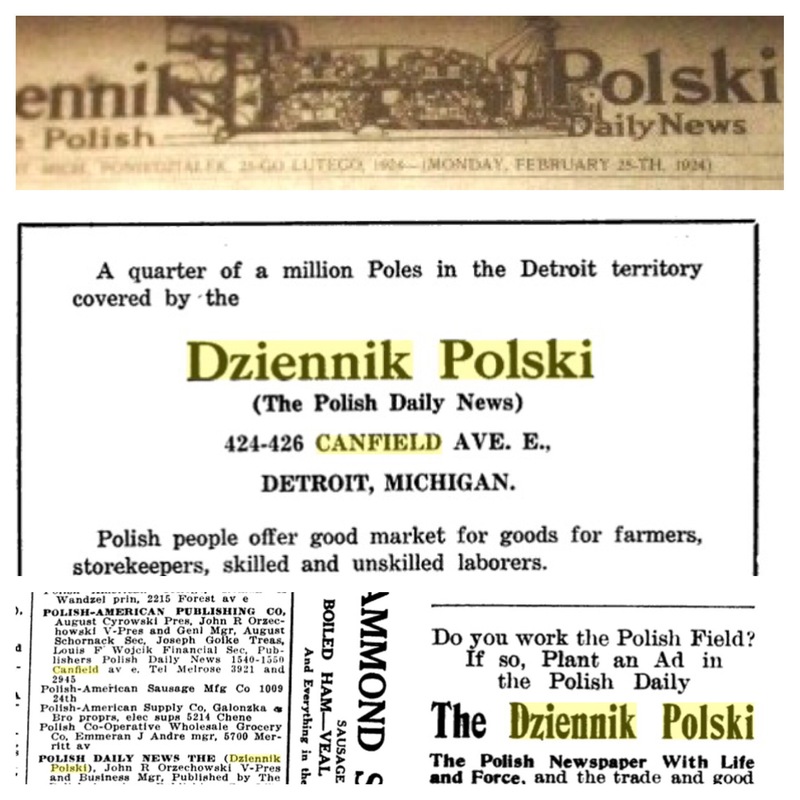 Yet in his own family tree the Sobieszczanski (aka Sobb) I was unable to locate. Doubling the frustration is I had Stanisław (Stanley) Roman Sobieszczanski ‘s Naturalization papers. It plainly said Lesnik, Russian Poland. The problem? In the Skorowidz Miejscowości Rzeczypospolitej Polskiej there were 19 Lesnik/Lesniki and in the Russian-Poland Gazetteer there were another handful (some possibly overlapping as they were different time periods. There were no LESNIK. I had to consider diacriticals (accents). The L could be Ł and the e could be ę and the s could be ś and the n could be ń. Thankfully, the i and k did not have diacritics. But that still left a lot of combinations. But one-by-one I searched. I looked up in the gazeteers and found parishes. Some were not online, but many were. Alas, those online did not have any Sobieszczanski. I searched http://regestry.lubgens.eu/news.php (Lubgens) and there were Sobieszczanski, but I could not confirm they were mine. No Lesnik. I searched in geneszukacz.genealodzy.pl too and again I found Sobieszczanski but again no good matches and not good enough locations to believe that is what Stanley meant. That’s when I thought to look at a map that indicated parishes. I still thought Lesnik was a parish. So I went to: http://ipgs.us/mapinfo/atlas1907/main.html . I looked at the Lublin powiat (map 31); nothing promising, but I did see a village on the border of an adjacent powiat named Sobieszczany, so I thought perhaps they came from there. So I looked in the adjacent Janow (map39) and I found a couple of Lesnik (duzy/maly) villages in B3 quadrant. I could not find Lesnik Duzy or Maly in any gazetteer???. Frustration. In looking at map 39, I saw Marynopol looked to be near a circle with a cross that indicated a parish. But I could not find Marynopol in the gazetteer. Very puzzling. I tried to find nearly named towns and I did find one but it was in Kielce gubernia, not Lublin. So I looked and saw GOSCIERADOW. I quick checked metryki.genebaza.pl and saw they had GOSCIERADOW in Kielce-AP Sandomierz. Only 1890-1901 but at least I could see if there were any Sobieszczanski and get my bearings as too what Sobieszczanski looked like in Russian/Cyrillic and in cursive handwriting. My first try I found Jan Sobieszcanski in 1891 (see top pic). His record indicated he lived in LISNIK. Well what do you know Jan’s parents were Michal Sobieszczanski & Stanislawa Kowalska and these were the names I had from Stanley’s first marriage record in USA (Depew, NY). So I was pretty sure (99%) that I had my parish. But they did not go back before 1890 and Stanley clearly enumerated many times his birth year was 1886. However, his younger brother Tadeusz had come to the USA as well and I had his info, so I looked up the birth year and it was 1896! Ok, they had that year in the range 1890-1901, so I should find a Tadeusz in 1896 (+/- 1 year). Ok, his birthday was in October (not December), but the year and the parent names were exact matches, the village a very close match. I was now 100% certain I had my parish and my family. Success! LISNIK DUZY was in the gazetteer and GOSCIERADOW was the parish. 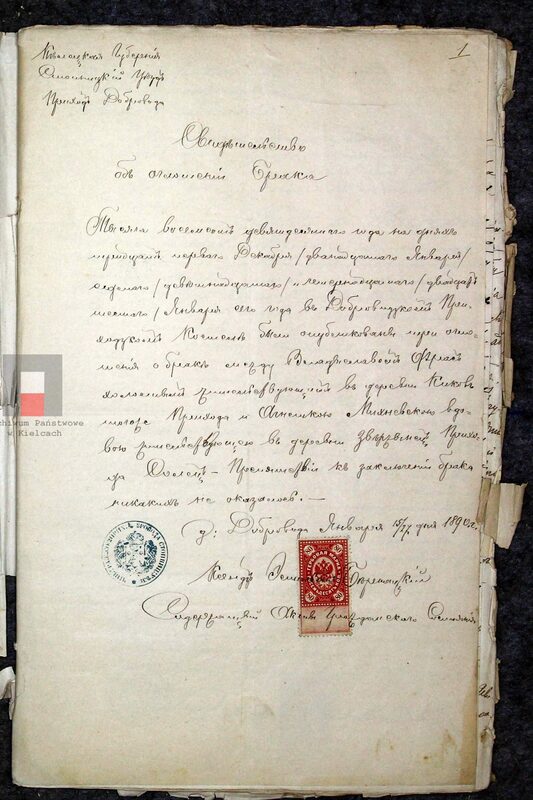 Stanczyk, always thought that while Poland was partitioned (1772-1918) and from 1868-1918 that the vital records and other “official” documentation in the Russian partition (zabór) were written in Russian / Cyrillic. Perhaps that is not PRECISELY true. Consider for example the image with this article. In fact let us examine marriage #4 (at the bottom image), bewteen Waclaw Balabanski & Maryanna Zwolska. All of the text is written in Polish (not Russian, nor Latin). Even the index for 1916 was written in Polish/Latin characters. 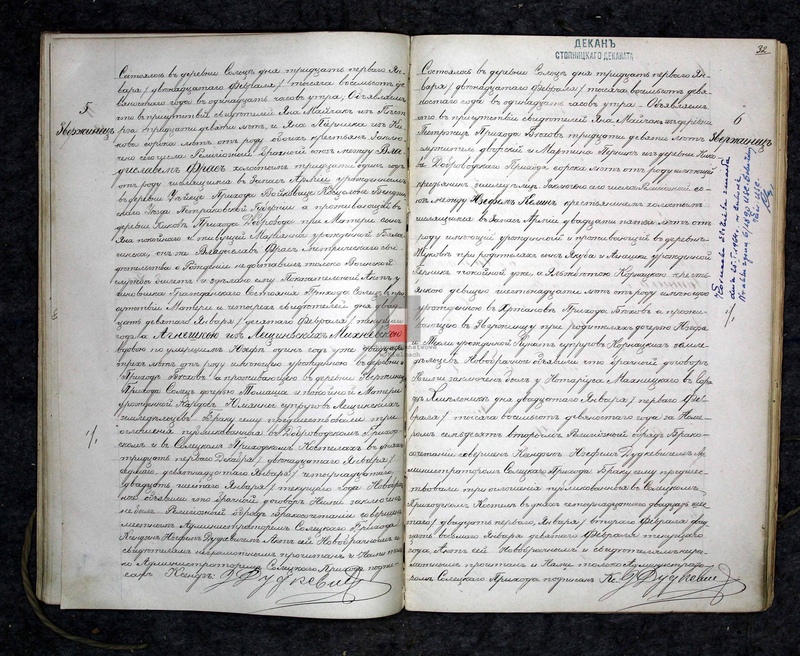 However, in 1915 the records were written in Russian/Cyrillic characters. Now this is a rural part of Poland and perhaps lacking in oversight, but cognizant of the politics/war raging. What may be happening and reflected in the church records is, that in 1915 a temporary client-state was setup by Germany & Austria-Hungary due to the Russia’s withdrawal from the World War (I) and the chaos in the Russian Empire (with the Bolshevik revolution in 1917). So the Russian-Poland partition was not so obliged to write in Russian any more now that there was no more Russian hegemony in Poland. What lovely information these books show, besides the marriage in 13-February-1916, we also see the death dates for the bride groom in 1951, 1979. We also get precise birthdays for the newlyweds as well as their ages. Well earlier (a few blogs ago, 20-February-2018)), Stanczyk, dropped his favorite meme, “Things I Found…“. 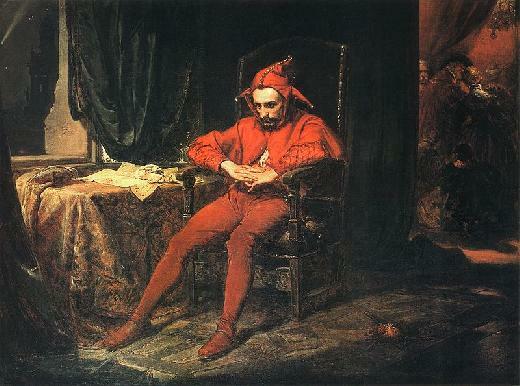 In actuality, this jester was searching for military conscript lists. I had one and needed help interpreting the data. That bit of seeking help resulted in my finding a news account of my great-great-grandfather Marcin Elijasz in an historical Polish newspaper from 1879. Today was a landholders chart for Niegosławice village, in Pacanów gmina, Stopnica powiat of 22-June-1933. Stanczyk would like to call your attention to one of his ancestors, on line 12 (Leon Wleciał). Line Number, Landholder(s), Plot Number, Plot area in ha (hectares). So on Line #12 (col. 1), we see Leon Wleciał (col. 2), Plot #18 (col. 3), 6.1019ha (col. 4). This Leon was not the Leon who came to America, but the Leon who was a witness/god-father in church records for the Wleciałowscy who came to America (and some who stayed in Poland too). (Official District Land in <gubernia-name>). The above image is from an Alegata in support of an 1878 marriage where the bride was from out parish (Biechów parish / parafia, Kielce Gubernia, Russian-Poland; the bride was originally born in Dębica parish, Austrian Empire, Galicia Kingdom, Pilzno District, Tarnów diocese. Stanczyk believes in persistence and serendipity when it comes to genealogical research. This jester believes a genealogical researcher makes his/her serendipity through that persistence, the bull-dogged determinism and hard work that yields the sweet fruit. Oh and after a few years of experience THEN you may trust your instincts. First learn. Learn genealogical research. Learn your family including friends and geography; understand that social network then you play your hunches and trust your instincts in the face of scant or missing data. As usual, I have a personal story to demonstrate what I mean. This small story is part of a larger story which is part of an even larger story. But I will start with small story and roll-up fractal-like into the larger fractal pictures (uh stories). I was trying to find Stanislaw Krzyzycki (Stanisław Krzyżycki po polskiu), specifically his birth record in Poland in the area of my paternal grandparents (cluster genealogy / social-network-analysis). That was my goal. I had many US documents and knew a lot about Stanley and his brother Walter/Wladyslaw and their life in Niagara Falls / Buffalo NY. I also saw a soft connection to my grandparents and to a Stanley Eliasz that for years I suspected was a cousin of my grandfather Joseph Eliasz. But Stanley Eliasz and Stanley Krzyzycki remained opaque to me. I tucked them into a virtual shoe-box that I would return to. This is a part of the next larger story/goal. On the other side of the Atlantic Ocean, in the old country, “Poland” I had a parallel situation. I had an Antoni Elijasz who was married to Katarzyna Krzyzycka. With the launch of Genbaza (metryki.genbaza.pl) I had new avenues of research to connect America to Poland. I had a couple of Elusive Stanley Eliasz/Elyasz to resolve. Stanley Elyasz came to Detroit from Pacanów the same as my grandfather but there was no family memory of Stanley Elyasz. Stanley Eliasz in Buffalo was even more opaque. Eventually genbaza solved both puzzles. I knew Stanley Elyasz (Detroit) was the son of Marcin Elijasz & his 2nd of three wives, Agnieszka Skwara. I also knew that Marcin Elijasz and my great-grandfather Jozef Elijasz were brothers (two sons of Marcin Elijasz & Anna Zasucha my 2x-greatgrandparents). So I finally had Genealogical proof, not just a hunch that Stanley Elyasz was my grandfather’s first-cousin. I also connected Stanley Eliasz to his parents, Antoni Elijasz/Katarzyna Krzyzycki and his sister, Helena through genbaza birth records. Antoni Elijasz was still opaque and as yet not drawn as a son of Marcin Elijasz/Anna Zasucha (though that is a long held hunch). So Stanley Eliasz (Buffalo) I could not yet confirm as another first-cousin to my grandfather. But I now know his parents. Anyway, this small story is about Stanley Krzyzycki. 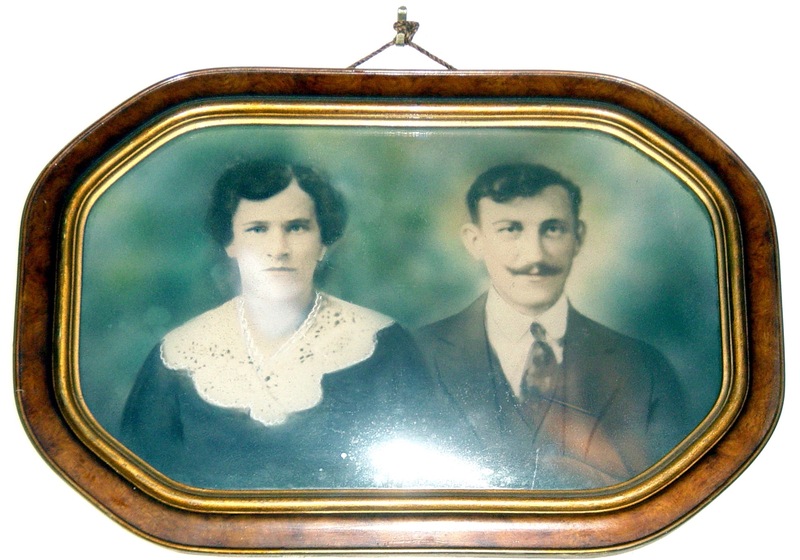 For a long time I suspected my grandparent’s picture from 1913 was taken by a Krzyzycki in Buffalo/Niagara area. So any way the documents in the US led me to believe these NY Krzyzycki (Krzyzyckich ?) were related to Antoni’s wife, Katarzyna Krzyzycki. With the websites: Geneszukacz & Genbaza I was able to locate Krzyzycki in Pacanow & Szczebrzusz (try and get those American teeth & tongues around those Polish phonemes!!). I found Ludwik Krzyzycki & Franciszka Sikora. Easily enough I found Stanley Krzyzycki’s brother, Walter/Wladyslaw and his birth record. I also found Aleksander Jan Krzyzycki too. But no Stanislaw. I did see a few possible female Krzyzyckich who could also be siblings too. But I focused on a marriage record for a Joanna Krzyzycka because I knew if she was a sister then she would be older and would be a bookend child (along with Wladyslaw) and I would expect Stanislaw to be born between these two children. So I persisted. I read Joanna’s marriage record and yes she was a sister of Stanley Krzyzycki. She also married a man whose family name I did not recognize. So I looked at Joanna’s husband and indeed he was born outside the parish (Pacanów). Now from long experience I knew there would be an alegata or two about Joanna & her husband (Antoni Bąk). I found that Joanna’s age indicated an 1880 birth. Ergo, she was older. I had my bookend child. What I did not expect to find was an Alegata of Joanna’s birth. Great I had her exact birthdate. But wait that meant Joanna was born elsewhere too, another parish besides Pacanow. Joanna was born in Zborówek! Zborówek is an adjoining parish to Pacanów. Ok now its getting interesting. First, I confirm Joanna’s birth by finding her actual birth record (Akt42) in 1880 Zborówek. Good. Now I walk forward, 1881, 1882, 1883, 1884, …,bingo! In 1885, (April 12th 1885), I found Stanisław Krzyżycki and this date matches some of his US records too! Wow that is persistence! Oh and the serendipity of such persistence? It turns out that Stanisław Krzyzycki’s Godfather is Antoni Elijasz. Wow, Stanley Eliasz & Stanley Krzyzycki are 1st cousins (not proven but a 75% likelihood by my estimate). So Katarzyna Krzyzycki & Ludwik Krzyzycki are siblings. Now I had proven a hard connection between Eliasz & Krzyzycki who came to America. Krzyzycki photographer took 1913 Eliasz photo in NY. Antoni Elijasz is a brother of my 2nd greatgrandfather, Jozef Elijasz. Stanley Eliasz (son of Antoni) is a cousin of Julian Elijasz (son of Ludwik Elijasz). I already know that their two wives are sisters from Pacanów. These two Janicki sisters are a sister and a cousin of my two Dorota Elijasz 2nd-cousins’ grandmothers! So oddly enough I have connected Stanley Eliasz (Buffalo) to my family tree via the JANICKI affiliated family. I have since found more Eliasz Godparents to Krzyzycki children. Thus the Eliasz-Krzyzycki connection was further strengthened. But that is a part of the bigger next story and my connection to Nancy Langer. Well of course, today’s story is also part of Nancy’s story and it in fact grew out of her story and my long-term virtual shoe-box. It just turned out that both Julian & Stanley Eliasz were a part of Nancy’s family and I am her affiliated family! Or are we actually related? Her trip to Poland this summer may answer that question. That is Stanczyk’s short (longish) story on persistence & serendipity. Go make some serendipity yourself. Stanczyk has been very busy! A long overdue update to my Rootsweb page on Dziennik Polski has been done … more to come! Also this jester has added 6,000 names to the Complete Index (nearly 42,000 Poles) including adding names (& relationships to deceased) listed on the Funeral Cards. The One-Step db app based on this data needs to be re-done. Stanczyk has the instincts of an hard-boiled detective. Now this is not the story of forensic genealogy. Nor am I infringing on Tim Firkowski (Genealogy Assistant / Family History Detective). I guess my hard-boiled detective work stems from my reading Michael Chabon right now. No I am investigating / researching an affiliated family of my ELIASZ /ELIJASZ ancestors: the ZASUCHA. You see, Anna Zasucha, is my 2nd-great-grandmother and wife of Marcin/Martin Eliasz. She is a part of my direct DNA. 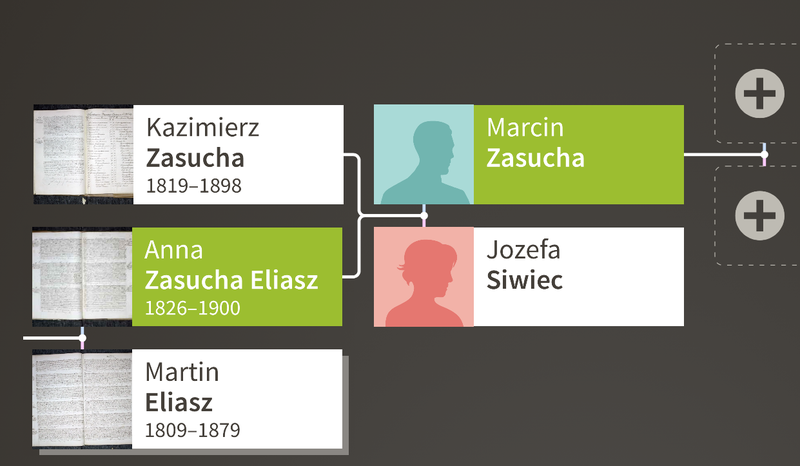 Like in DNA, the ZASUCHA are a genetic marker for my Eliasz family of village Pacanów. Hence, my curiosity. Now for a while this jester has noticed the Zasucha were engaged in some chain-migration genealogy involving many families from Pacanów to the USA, including among others, my Eliasz family. Buffalo, Syracuse, Niagara Falls, Cleveland, Toledo and Detroit. But there was NO family memory of ZASUCHA among my direct Eliasz family. Indeed, nobody knew Anna Zasucha was our 2nd-great-grandmother. Kędzierski/Kendzierski, Pieszczachowicz, Fras/Frass, Hajek, Zwolski, and Zasucha (all affiliated to Eliasz/Pacanów or Leszczyński/Biechów). You will be happy I have connected back your families to those two ancestral parishes(Biechów and Pacanów) whence my paternal grandparents originated from. Indeed, I have found many 2nd/3rd and further distant cousin-genealogists via this blog’s research. However, I am still waiting on a Zasucha genealogist. So this blog is about a lovely couple: Feliks Zasucha & Antonina Łuszcz Zasucha (both from Pacanów). I want to end this blog with the Zasucha in my tree and pick up in the next blog article with my struggles to find data on Feliks & Antonina. 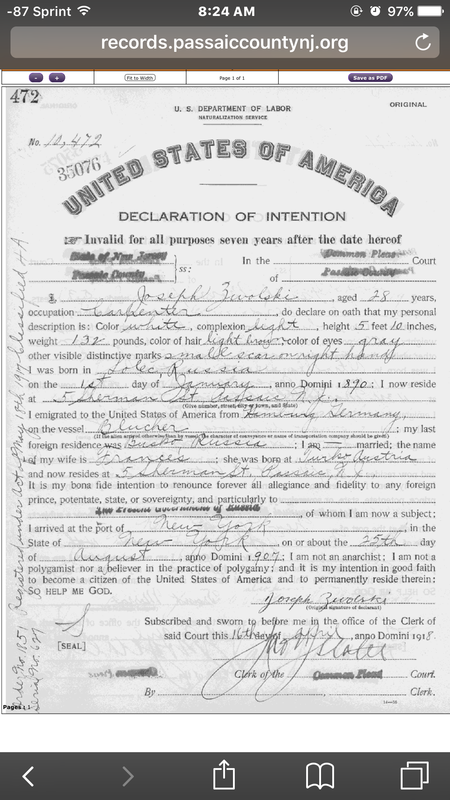 There are Declarations of Intent (shown above) and Petitions for Naturalization forms. The images can be downloaded as PDF documents. This service is FREE! It’s here! Family Tree Maker is BACK.And its available RIGHT NOW! 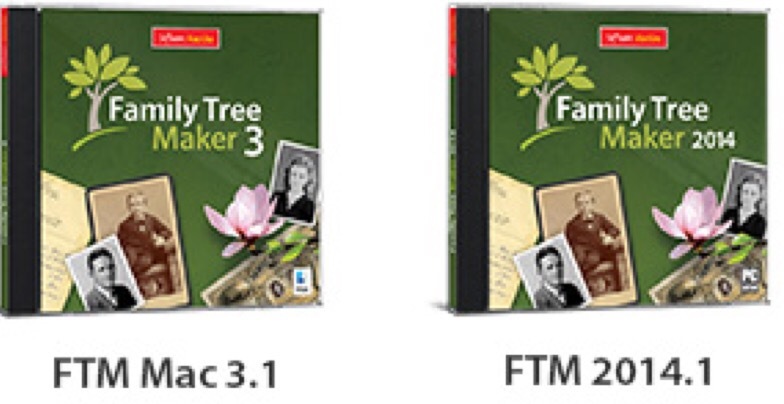 They started with Ancestry’s FTM 2014 and FTM Mac 3 and set the focus on stability and performance improvements. Some bugs were also eliminated. The application is more responsive – you will find some actions that previously took minutes now take seconds. We managed to sneak in just a few surprises, like 100 beautiful new backgrounds you can use to make professional looking charts and reports. And we’ve integrated a service for printing high resolution genealogy charts through the good folks at Family ChartMasters. It’s a modest start, but we hope you will be happy with our new updates. Mac Kiev sure that the new updates are completely compatible with the latest operating systems (Windows 10 and Mac, El Capitan). They made sure that your old trees will open seamlessly. There is nothing to move. That your Ancestry account if you have one will continue to work with the new versions. And that TreeSync and all the other things you have come to like about FTM are still there for you. 1. Users of FTM 2014 and Mac 3: FREE updates are coming. They will be available in about a week or so through the software’s built-in update feature. Registered users will receive an email to let them know as soon available. 2. Users of older FTM editions: No matter how old your copy of FTM is, or whether its running on Windows or Mac, you can download an upgrade for $29.95 . 3. New users: If you have never owned a copy of Family Tree Maker before, for a limited time, you can download a full edition from their online store for $49.95 . Family Tree Maker users who do not currently have an Ancestry.com subscription, will be offered a 14-day free trial. If you would like a backup disc, you can purchase a CD in a jewel case for an extra $10 including shipping and handling. Stanczyk has been reading the 1908 Marriages of Pacanow in order to build a spreadsheet/index of the newlyweds. There are some findings from this very preliminary set of data (1st year of data). First the men are noticeably older than the women. Men are often widowers ( and very much more so than the women). The men also frequently come from another parish. Now I collected that statistic for two reasons: (1) There will be an alegata record to document this cross-parish marriage (2) So you can find the groom’s birth record (since it will not be in Pacanow). I was surprised at how often the bride had come from another parish too. This data also confirms that the marriage is performed in the bride’s parish and its place is listed as the bride’s (current) village. I did find that one mother was an ELIJASZ so once again, this is an affirmation that social network analysis (SNA) can yield helpful results. In fact, I am hoping to use do a full scale SNA on Pacanow some day (1875-1908). The spreadsheet is available to the public (and if genealodzy.pl wants it for its indexes of Geneteka/Geneszukacz then you have my permission/blessing). The spreadsheet is HERE (PDF) . P.S. – One of the things I have learned is that the online indexes I have seen are incomplete (not missing). What I mean is that I have recently found data that was not present in an index that existed and I was puzzled by the omission. Family Tree Maker (FTM) — Please update the death date! Ok the death date for FTM software needs to be updated from 31-DECEMBER-2015 to <null>. It appears that FTM’s death was greatly exagerated! 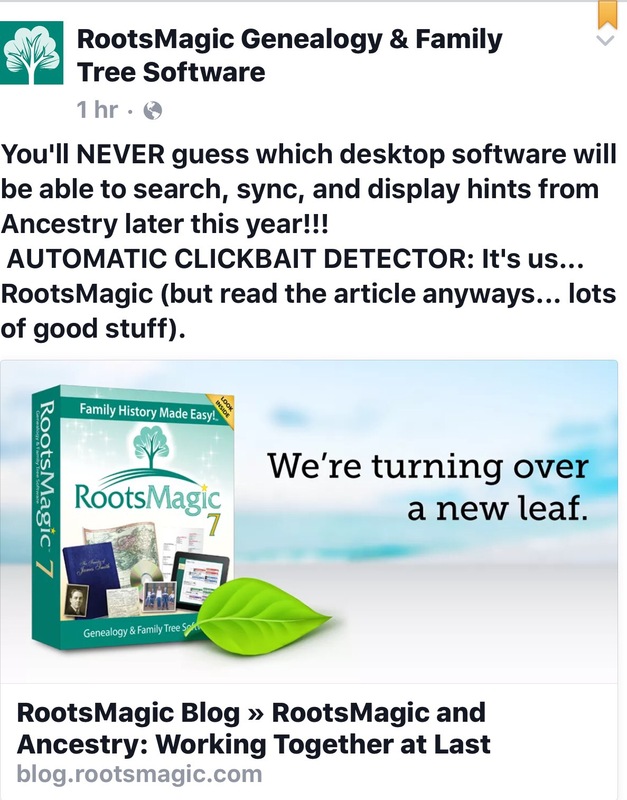 RootsMagic – TreeSynch, Hints, Ancestry Search, Direct Import for people converting from FTM (no intermediate gedcom necessary). MacKiev – Will takeover development & publishing of FTM. For over six years MacKiev had done the development for FTM. More details are at Ancestry.com’s blog . Stanczyk received an email from the old country … Poland. It was from a distant cousin who only spoke/wrote in Polish. Aleksandra, wrote in enough detail that I could place her family in my family tree. She was most appreciative of my research and thankful that she could ask someone about her Wleciał family in America. She was very kind and shared some photos … (see below). What made this a special email for me was that Aleksandra had been born in Pacanów, my paternal grandfather’s home village. Sadly, she no longer lived there. 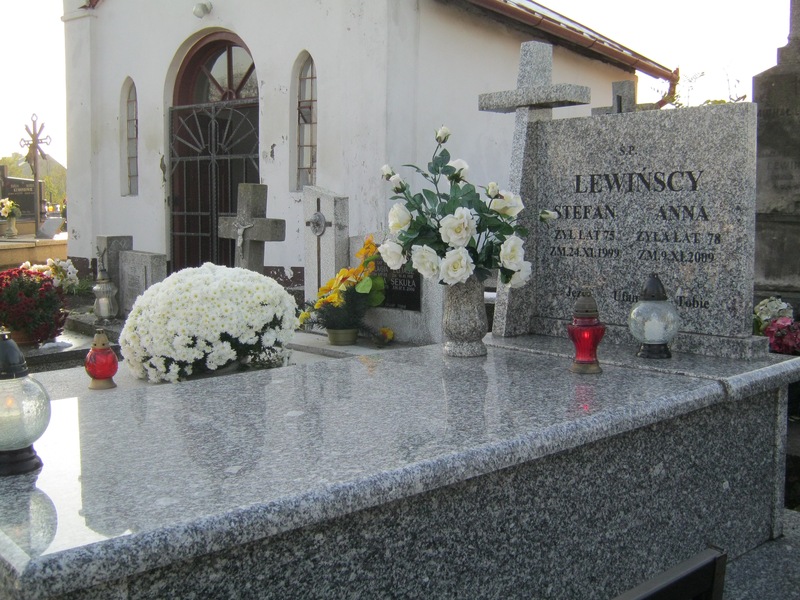 Besides the connection to Pacanów, she shared her family photos from the cemetery in Pacanów (which I assume is the church graveyard). This jester has long wanted to return to the ancestral village and see the parish and its graveyard and with some hope, the parish books. But something about seeing the church graveyard in my grandfather’s birthplace touched me very deeply and deepened the longing to see with my own eyes, Pacanów. I emailed back to Aleksandra and I hope to get some more emails back. I sent her what she was looking for in terms of her Wleciał family in America. What I am hoping for from Aleksandra is to see if she has any photos of her grandparents, one of which is Katarzyna Elijasz (daughter of Marcin Elijasz & Anna Zasucha). Katarzyna Elijasz is my great-great-aunt, born about 1866 in Pacanów. She married Maciej Wleciał on 19-October-1890 in Pacanów. This was according to Akt#38, of Pacanów 1890 Marriages. Katarzyna was 24 at the time of her marriage, implying a birth about 1866. At any rate, here are the photos from “Pacanów cemetery” that Aleksandra sent. 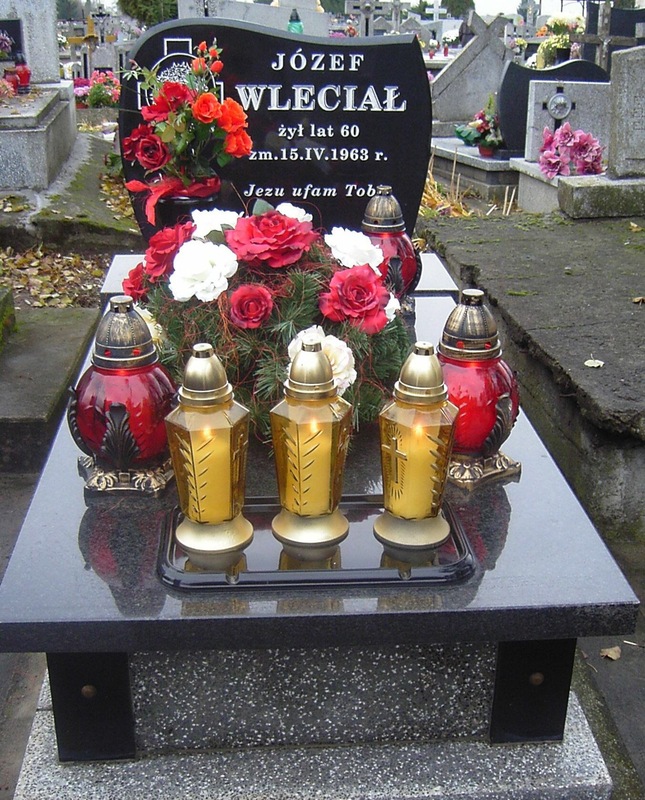 This jester does not know all of the people, but the image of Jozef Wleciał ‘s (Katarzyna’s son) grave was beautiful. Stanczyk — Reunited another genealogist with her grandfather’s parish (Olesnica) and his birth record #95 in Olesnica 1889 Births. Jan Lalewicz – born 3rd-July-1889 in Olesnica to Franciszek Lalewicz and Maryanna Ziembinska. Stanczyk, was looking at the GenBaza news of what was being indexed and loaded in order to see what was coming online (… eventually). This jester noticed a PDF document of the inventory of books at Diocessan Archives (AD), State Archive (AP) and in some of the parishes too. Now let me hasten to add that this is NOT an inventory of online records/images. It is only a list of what may yet come and of course some of these are already online, but many more are just potential data available to be indexed and loaded. The actual PDF document is here . A final note the Fond# is similar to what the Library of Congress calls a Record Group. It is the identifier for requesting the resource inside the archive. Only State Archives have a Fond#, not the church archive nor the church parish. Stanczyk got another genealogical question. It was from Cris (on Ancestry.com). Cris, welcome to my blog. I have good news so please keep reading. As you no doubt know, I have SLAWINSKI in my own family tree. Most likely you will find your name in Polish Archive / Church records written as SŁAWIŃSKI in Polish and as СЛАВИНСКИЙЬ in Russian records. From mapa.szukacz.pl I have a map of your ancestral village (Sulislawice, 50,587500 21,468333 – see pink circle). Since your ancestral village is near to Sandomierz, I knew it would be in Kielce AP (state archive of Poland) and in particular its office in Sandomierz AP. This Kielce / Sandomierz area is where the overwhelming majority of my Polish ancestors come from. As a result, I knew to check Metryki.GenBaza.pl to see if your grandmother Anna Slawinska might have her records online. The good news is yes, those records are online in GenBaza. It has Sulislawice (which is also the parish) in the years: 1810-1910 [inclusive]. 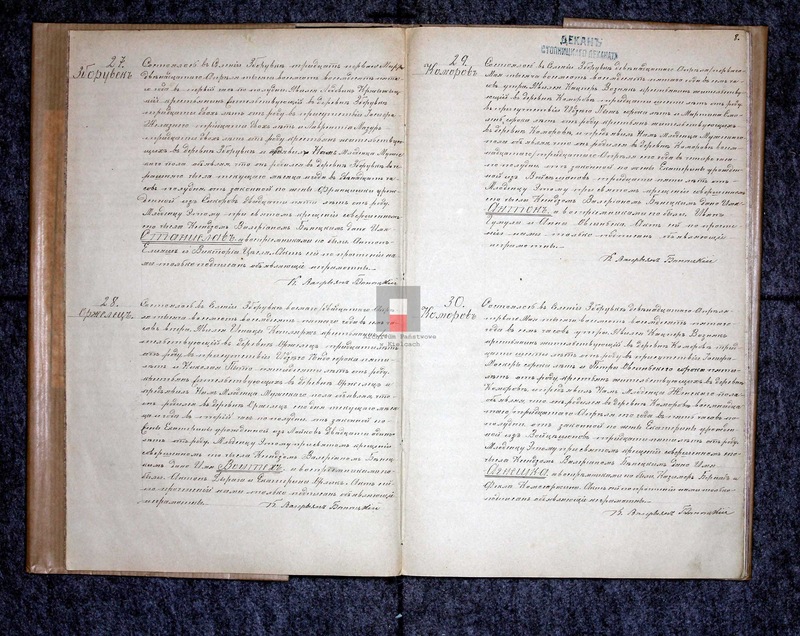 You will need to be able to read Polish for records 1810-1868 (possibly Latin before 1820). 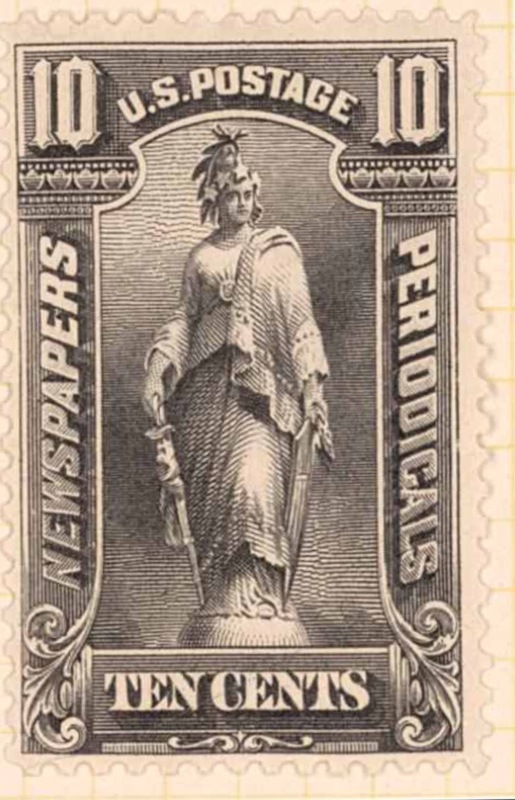 For records in the years 1869-1910, they will be written in Russian/Cyrillic characters. You will also need to register for userid / password on Metryki.GenBaza.pl (which takes you to GenPol.pl) and do so in Polish to gain access to that database of church record images. This is doable, but not a trivial task. Once you get an email with your userid/password, contact me again and I will post the link to my blog where I wrote a user guide to using the website. Your grandmother’s parents names (great-grandparents). I will use that info to search for and send you the birth record if I find it. I will also provide a translation of the key genealogical facts (dates, names, ages, etc.) from what I am expecting will be a Russian language record. Dobrowoda, “Good Water” indeed. Its about 15-16 km from my paternal grandmother (babcia/Busia), Waleria’s ancestral village (Biechow). Waleria Leszczynska’s (half-)sister, Agnieszka married her 2nd husband, Wladyslaw Fras … somewhere (I am still looking for that marriage). Agnieszka & Waleria (the Leszczynscy) were born in Biechow so you might expect their marriage was there in the bride’s village as is custom. But let me start this genealogical story from the beginning. A few years ago, my family tree on the Internet caused someone to email me about my Leszczynski. For years, other genealogists had emailed about LESZCZYNSKI, so I was used to saying, “Its a popular name and we are not related or are so distantly related that we cannot prove it.” But this person had a name, Agnieszka Leszczynski, which I had one too in my tree, but she was born so long ago (1866) that I only had a birth record and nothing more for Agnieszka Leszczynski. But she had a Russian Passport (which she could not read). I had never seen an actual Russian Passport before, so I told her I would look at it and help translate what info I could and perhaps that will tell us whether there is a chance that her ancestor (great-grandfather), Jozef Fras, was son of my Agnieszka Leszczynski or not. Long Story-Short, the passport gave clues to the same area, tantalizingly close to Biechow — so I could neither prove nor disprove the relationship, but it was an avenue for research. So I started researching her Fras/Frass from Toledo, Lucas County, Ohio. They were close to where my grandparents and my grand-aunt, Antonina Leszczynska Sobieszczanski lived. Ok that added a very tenuous connection. I found a church baptism where Jozef Fras’s wife, BENIGNA (not a common name) was a God Mother to one of my dad’s Sobieszczanski cousins. Ok. that is a pretty good connection. Next I found Jozef’s ship manifest and that his father was Wladyslaw Fras living in Piersciec, a village in the same parish as my grandmother’s family. Ok that is a great connection. Oh, look Jozef went from his father, Wladyslaw, to his uncle Teofil Leszczynski (my grand-uncle) in Depew, Erie County, NY. Ok that is a solid family indicator. So I emailed Mindy to tell her that we were probably related and I added Fras to my family tree. So Mindy sent me family photos of other Fras family from Poland. So I knew Jozef had two brothers and a sister (maybe) and I had their names. From the passport I had a birthdate / birthplace for Jozef (Zborow – which I initially mistook for Zborowek, but later realized he meant the Zborow near Solec, at any rate both were in Kielce gubernia. So I had Biechow and Solec as possible parishes to research. 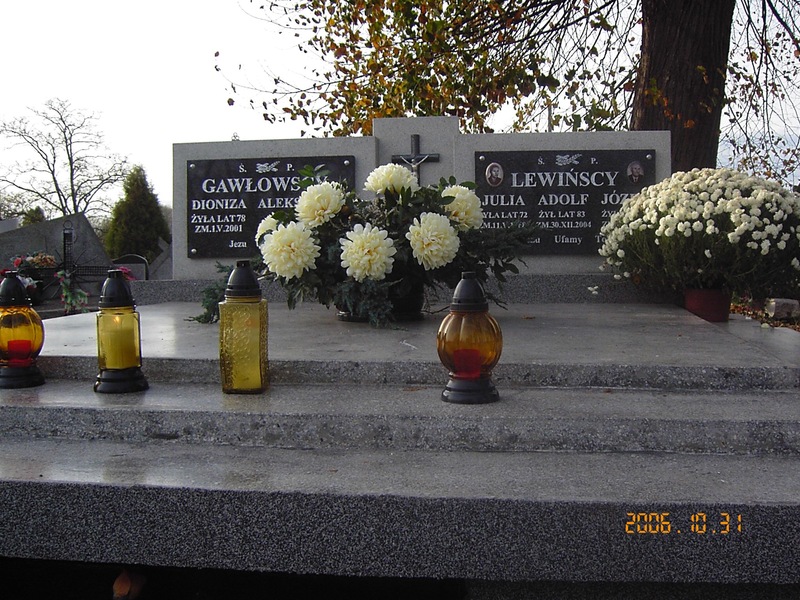 Eventually GenBaza published images online and I could progress, I did find Jozef’s siblings: Teofil & Wincenty(and two sisters born in Piestrzec/Piersciec). But I could not find Jozef and I also could not locate Wladyslaw and Agnieszka’s marriage record in Biechow or Solec (nor in Stopnica). I began to research in nearby parishes (cluster genealogy) looking for either the birth or the marriage record. Years went by and no luck. Did I mention that GenBaza went offline due to technical problems? It did and when it came back I noticed a few new parishes, hence Dobrowoda (which was >= 15km away) and I doubted that a parish at such a distance might yield any new clues. However, earlier I had found a church record in Stopnica of a Fras birth, where a Wladyslaw Fras was God Father. I then found the marriage and alegata for the couple whom Wladyslaw was God Father for. It turned out that Fras was originally from Silesia [Uiejsce, in Wojkowice Koscielne parish, in Piotrkowskiej Gubernia, Poland]. I found this Fras’ birth record and now had his parents (possibly Wladyslaw’s parents or maybe just uncle/aunt). Using Geneteka as an index, I found other children for Jan Fras & Maryanna Bialas, besides this Stopnica Fras. This family went from Wojkowice Koscielne parish in Piotrkowskiej Gubernia to Holudza village in Chotel Czerwony parish, in Kielce Gubernia. OK now we are getting close. I found Jan Fras’ death record in Kikow village in Dobrowoda parish (also Kielce Gubernia). So when Dobrowoda came online, I decided I would look there once GenBaza came back online. That is where this blog entry starts. There were many years and I was not expecting any Fras really. So I started in Zborowek instead which now had metrical records and not just alegata like before. Some minor advances, but nothing really. So I looked at Dobrowoda. There were many years in Dobrowoda and my eyes went right to a book that ended in ‘rejestr’. These ‘rejestr’ tend to be church censuses, sometimes just an annual census, sometimes a decade, sometimes two-three generations. So I thought I could quickly scan and see if there were any Fras or not in this parish. It was just an annual census (my hopes were lowered) for 1895 sorted alphabetically with Birth Marriage and Death records indexed together (in a funky Polish handwriting – that I had to train my eyes to read). Ok there was a Fras, a Teofil Fras. But I had already found my Teofil Fras born in 1903, so this Teofil Fras born in 1895 must be for another family. Nonetheless, I wanted the record to see if Wladyslaw or Agnieszka Fras were a God Parent or witness. So I was shocked to find that this Teofil Fras was also a child of Wladyslaw Fras and Agnieszka Leszczynska. This Teofil must have died and thus the second Teofil was born in 1903 (who is the one in my picture with Wincenty). Ok this parish had my Fras. Maybe I can find the birth of Jozef and/or the marriage of Wladyslaw & Agnieszka here. From the passport, I knew that Jozef was born in 1893, so I went to that year. Guess what I found? Yes, I finally found Jozef Fras’ birth record and the date matched as well as the parents. Alas, I still did not find the marriage record of Wladyslaw and Agnieszka, but now I have hope. I hope I can find their marriage and also Wladyslaw’s birth (once I confirm that his parents are indeed Jan Fras & Maryanna Bialas). You must persevere. These affiliated families (like Fras) can indicate parishes to research in for your main lines and shorten your cluster genealogy search. But as you saw, Dobrowoda was indeed good water for Stanczyk. Early today (22-September-2015) — The latest version of Ancestry’s app version 6.7 was released. Now 90.5MB in size. The download is specific to handling images. The quality and ease of dealing with images in your smartphone was greatly improved! Stanczyk was reminded this week by Flipboard genealogy blogger Kenneth R Marks (Boost Your Genealogy Research With Newspapers) — If you have not discovered this valuable resource then by all means click the link and scan his recent articles in his curated Flipboard magazine. This week Mr. Marks’ article reminded this jester about TROVE, an Australian Historical Newspaper (and other online documents too) website. Now I say reminded, because loyal readers may recall my article from April 2013 (From Pacanow Poland to Birchgrove …). I like what they have done since 2013 and it appears they have been busy at TROVE. So i encourage you to take another look for your Polish ancestor. 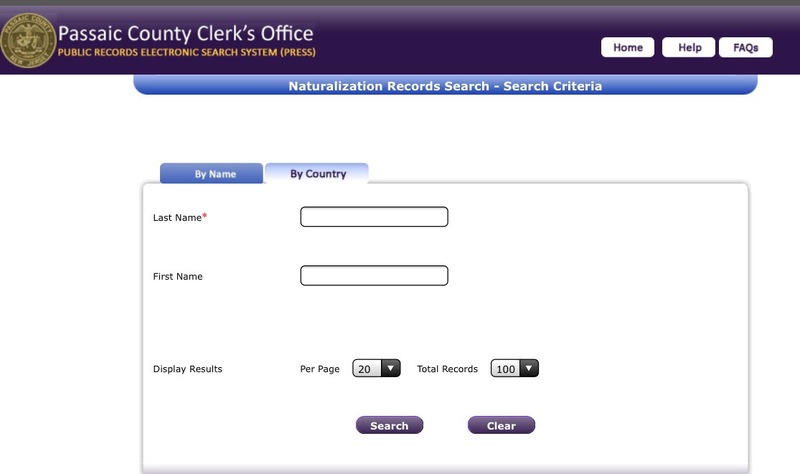 TIP (see picture): Use advanced search, look for online resources, search the newspapers for: Naturalization Notice, Poland and check the categories: Advertising, Family Notices to see vital record notices as well as immigration/naturalization notices. This should get your a little over 8,000 articles to search through. GenBaza is fine. However, there is no way to see anything other than Lodz. The reason is because GenPol.com has had a bad crash. GenPol is used as the login/authentication method for GenBaza so we cannot reach the other databases until GenPol is fixed (a couple of weeks at least). Check back and I will update this post when GenBaza is back. 17-August-2015 – A few days ago, Stanczyk noticed that GenPol.com had updated their 503 Page (Server Outage). This lets users know that the server is down and that recovery is in progress (both English/Polish). This was important so people do not think they are just gone. Stanczyk, was talking about the interactive 16th century map of Polish Crown-Lands the last blog article. map features like the square box being the parish, etc. The place name search box has been hidden so we can see more of the map under the search box. Show/Hide Panel (to show hide the layers/legend tabs), max zoom-out, previous map, next map, zoom at selection, zoom-in, zoom-out, pan, info on selected map object, select rectangluar region to zoom in on, tool tip, measure (distance, area), query editor, refresh map. Now I want to emphasize a few of the toolbar tools. Just hover over a toolbar icon to see the name of each tool. Click on an icon to select the desired tool (before interacting with the map). The Show/Hide Panel tool at the top is to show or to hide the right-most area known as the Layers/Legend Panel (that contains the two tabs, “Layers” & “Legends”. This is again a way to show more of the map. I also like the Measure tool. The measure tool allows you to draw either a line or a polygon shape. Drawing a line will give you the distance between two points. Drawing a polygon will give you total area and the length around the polygon edges. To draw a line click on measure tool (3rd from bottom) and drag your mouse to the second location and double-click (to end line drawing). So if you select the measure tool you will see an info box in lower right corner of your screen that gives the distance/area. So if you click on Pacanów and double-click on Biechów, the distance shown should be approximately 7 km (roughly 4.2 miles) between my grandfather’s village and my grandmother’s village. You can clear the distance info in the bottom corner and redraw your line(s) as necessary. The Pan tool (shown as a hand) is necessary to drag the map up or down or right or left to pan the map. You need to click on the pan tool before trying to move the map (or you will be doing whatever the last selected tool was). The last tool I wanted to mention is the, Tool Tip tool. The tool tip is a very nice tool that provides info on a village as you hover over its square/dot). The Panel is the right-most part of the map and you can toggle on or off the showing of the panel via the top tool in the toolbar. There are five layers for this 16th century map available (from the underlying data). The panel has two tabs, “Layers” and “Legend”. 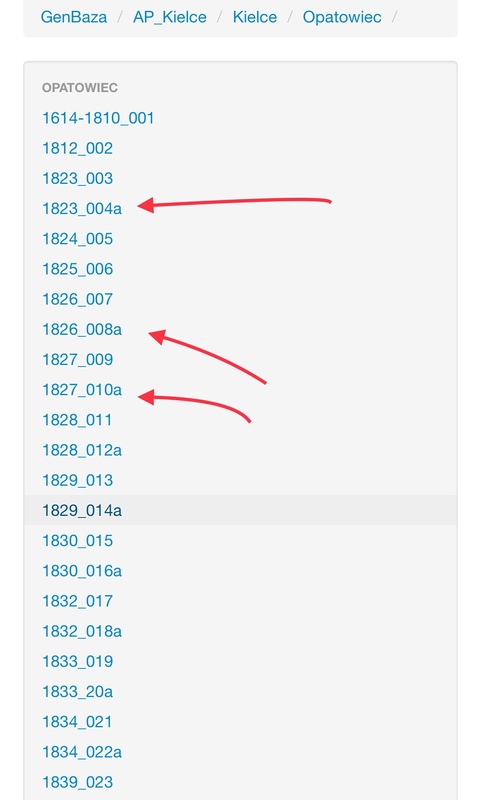 Each layer has a box with a ‘+’ in it that you click on to expand (the box then contains a ‘-‘ which you click on to close). For this article we are only interested in “Ecclesiastical Borders”. This layer allows us to show the checkboxes for the boundaries for a parish or a deaconate (aka deanery) or a diocese. The two that can be most helpful for studying your ancestors are the parish boundary and/or the deaconate boundary. In the above map, I checked both parish and deaconate boundaries. Now keep in mind that these church boundaries are the way they were back in the 16th century and not for the current times and in most cases also do not match the 18th/19th centuries either. These borders can point out the relationship between nearby parishes and also show which set of villages make up a parish. Both of these visual clues are helpful to the genealogical researcher. The checkboxes when checked show the boundary and when unchecked do not display the boundaries. The Materials Menu is near the upper right corner (above the map area) and it allows you to switch between collections whose data are map based. It shows the same map but the layers change to show the new details that can be displayed through the user interface. I particularly found the “Libraries of Wislica”, “Protestant Communites 16th-18th centuries”, and “Religions / Confessions 18th century” to be VERY interesting ! Now using the Layers tab and the Info tool can be most useful. The objects on these maps open up rows of data via the info tool to show a lot of useful material that you must see to believe. This is one of the best uses of a spatial (i.e. map) user interface that I have yet seen. It may take some time to master the user interface, but I assure it is worth it if you want to go much deeper in your understanding of your family history in Poland. If you are looking for old synagogues or to find minority religious denominations that are uncommon this site is a treasure trove of help. I’ve been reading your genealogy blog for a year now and I’ve found some nice infomration from and a lot of good humour as well, thank you and good job. I trying to research my in-law’s side of the family. They come from Lomza and Grajewo region of Poland, I believe it is the Podlaskie District. The names are Bruszkiewicz and Jurkowski, and Trepanowski (a cousin). I registered with GenBaza.pl and genetyka.pl and metryki but it doesn’t look as easy as how you made it look in your blog stories to find available scans. And then when I go to the Polish State Archives, well the short of it is I don’t read Russian (and I don’t read Polish either but I can read indexes, I can’t in Russian) and I don’t know how to spell Bruszkiewicz in Russian. So when I am faced with an index or i’m looking at a page of 4 birth certificates, i don’t even know what I’m looking at. Then I will need to find help with translations. Do you have any tips on how to translate a Polish family name into how it would be spelled in Russian? And written by hand in a civil register? As anyone indexed these parishes? Any encouragements or tips would be welcomed if possible 🙂 The whole thing feels like a brick wall! Thank you for any help, and good job on the blog! First I am self taught in Russian and Polish from books written by William F. Hoffman and Jon Shea. So I’d recommend purchasing & reading their books, “In Their Own Words …” . Volumes I & II. Grajewo is in Szukajwarchiwach (1890-1912): http://szukajwarchiwach.pl/5/525/0/str/1/15?sort=4&ps=True#tabJednostki . Have you read my documentation for using Szukajwarchiwach? Let’s see what “Bruszkiewicz” looks like in 1890 index in Cyrillic cursive writing: … ok I could not find Bruszkiewicz in a handful of years that I searched in both Grajewo and Lomza. Perhaps you need to verify the locale.